Education technology is our passion. 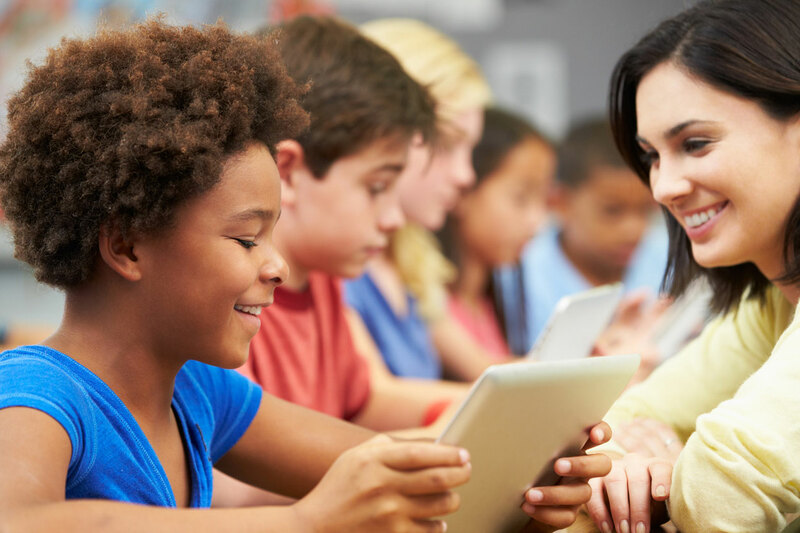 Encore’s EdTech specialists help to implement connected classrooms at K-12 and higher education organizations of all sizes, matching the right technologies to meet each school’s goals and budget. We’ve transformed technology in over 40,000 connected classrooms. It’s our teams direct experience garnered from time on the front lines as teachers, administrators and internal education IT specialists that makes the difference. 13 years ago, we integrated the first interactive panels in South Carolina schools. Since then, we’ve walked the halls in education institutions of all sizes with administrators, teachers, curriculum leaders and IT professionals building K-12 and higher education classrooms across the southeast region. The way teachers teach is changing at a rapid pace. That’s why we focus on helping K-12 schools and higher education partners choose the right technology to align with their goals and budget. Encore delivers holistic classroom audio-visual technology from comprehensive audio-visual classroom systems and interactive displays from Promethean and ViewSonic to interactive projection systems from Promethean and Epson. Encore will design learning spaces that are fully automated and controlled with Crestron and FrontRow; integrate complete bell scheduling and PA from FrontRow and Audio Enhancements; and deliver optimized systems for full large venue auditoriums. We understand the procurement and budgeting processes, have on-staff E-Rate expertise and participate in a number of state contracts specific to audio-visual technology in education. Reach out to discover how Encore’s experience as a leader in audio-visual technology in education can support your organization through seamless classroom technology integrations. Reach out for consultation of your Classroom needs whether design, sales, installation or support. I’ve had the pleasure of working with Encore for several years, finding them to be the consummate professional. Their passion and mastery of their craft is obvious and refreshing, especially after having worked with numerous other vendors with varying success. Their ability to understand and translate our requirements into results makes them the best candidate for the job. Their engaged employees always strive to make improvements and bring better EdTech to classrooms. It's a pleasure to know that the task at hand will always be done right.